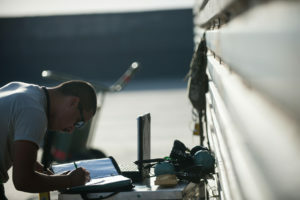 Condition Based Maintenance (CBM) essential to sustainment logistics. We do see a strong connection between logistics / supply chain and condition based maintenance. This connection can strongly contribute to the F-35 program as well as other programs. Some of the OneLogistics partners such as WCM – world class maintenance as well as TKI-Dinalog are very active in this field. Both TKI-Dinalog and WCM are active in multiple sectors including aerospace & defense, maritime, process industry, energy and infrastructure. As a result, many Dutch organizations are currently developing and sharing best practices in cross-sectoral, open innovation projects, resulting in disruptive innovations in various domains.